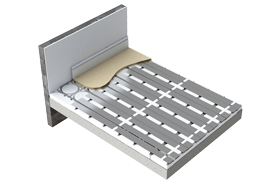 We offer a wide variety of underfloor heating products to suit all project types. Should you wish to find out more about any of our products, please browse the product categories below or contact one of our experts. 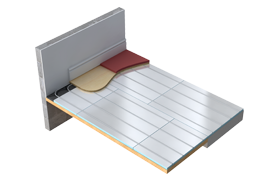 For a solid floor project, Polypipe Underfloor Heating offers light weight plastic floor panels, which provide a quick and easy to install underfloor heating solution for rooms of all shapes or sizes. 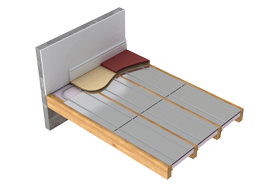 Our suspended floor heating system uses aluminium double heat spreader plates to transmit the heat evenly across the finished floor surface so that the whole floor is heated. 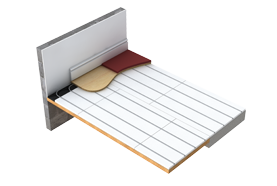 The floating system is suitable for both solid and timber floors, making it an ideal alternative to the solid system. 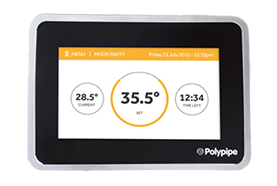 Polypipe’s exciting new product Modular Heating Panels, are concept that enable quick and simple installation of underfloor heating into suspended floors in both new build and renovation projects. 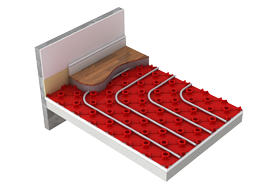 Polypipe Overlay™ is an innovative and unique low profile floor heating system. 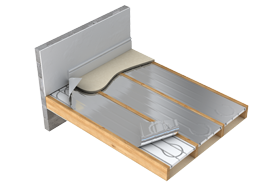 Ideal for both renovation and new build projects, the system is installed over existing floors. For lightweight floor coverings such as laminate, engineered wood or carpet, use Overlay Lite. 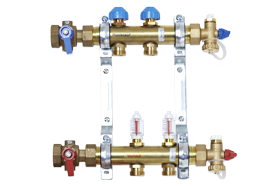 Polypipe under floor heating manifolds make it possible to control the flow of water through the system. 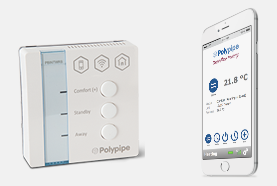 Polypipe Underfloor Heating systems require a lower water temperature than traditional radiator heating systems or for those that use stored hot water. All our systems come with a choice of temperature control options including our Smart Internet Control options which can be regulated remotely using our smartphone app.